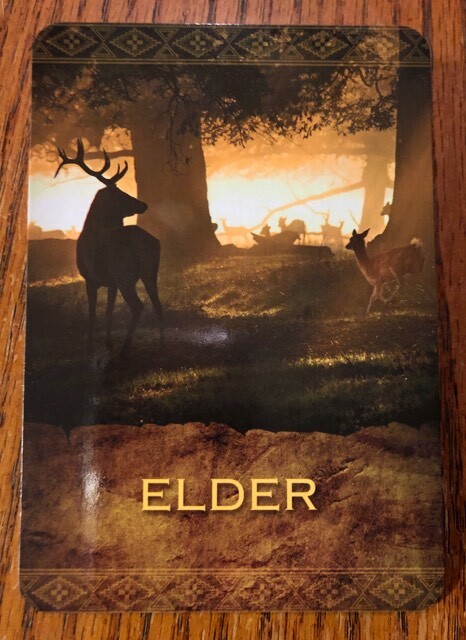 To be considered an elder is truly an honor and a responsibility. If this cards fits you today, maybe it is time to take a step in that direction – or perhaps the universe is simply reminding those who have been on that path that they are not alone. Meaning: Confidence, entering your power, and standing strong. You are a leader. Stepping into the light. Let your truth be heard and felt by others. Make a stand in life. You carry deep inner wisdom. You are a teacher and a leader in the deepest sense of the words. You are a beacon for others. Native Spirit Wisdom: In native culture, the elders, tribal chiefs, and clan leaders are looked to for advice and leadership. When this card chooses you, it’s time to step into your leadership role. An elder walks the path, stomps the grass down, and throws the boulders out of the way so that the path is easier for others. Sometimes you might find yourself alone or tired, but know that what you’re doing is making a difference in the lives of many. The greatest leaders are those who know how to serve, supporting others to reach their dreams. Even if you’ve been in the background in the past, right now it’s your turn to step forward and become the light for others. The Journey: Being an elder and a tribal leader means speaking your truth, even if it’s hard or even if you’re afraid. If there’s anyone you need to stand up to, this is the time. Being a leader means supporting others, so there’s anyone you need to support or make amends with, this is the time.